Our 404 page uses Typekit, which loads a webfont via a small script embedded in the page. 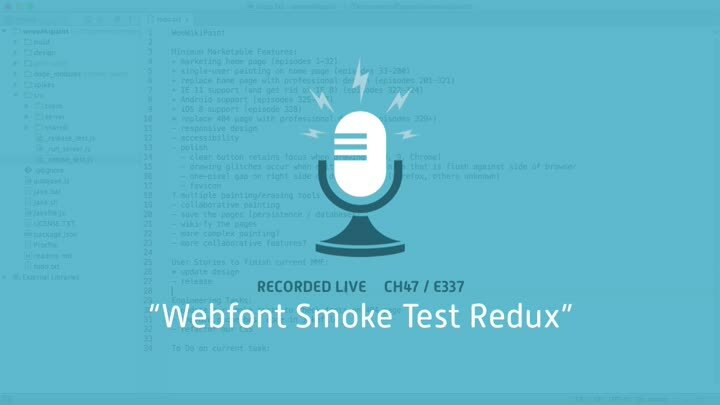 We want to update our smoke tests to ensure that the font loads properly. Fortunately, we’ve done that before, and with one small refactoring, our font test code works with any URL. Next, we improve our cache-busting build script to handle multiple files.